Kyra has a Bachelors of Music in Piano Performance from the University of Kansas and a Masters of Music in Accompanying from the University of Southern California. 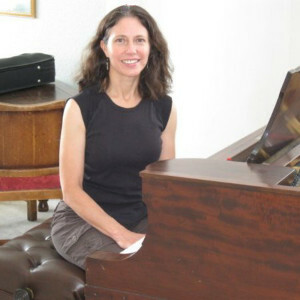 She taught piano and accompanied in California, Oregon and Colorado for many years before returning to college for a Masters in Accounting and a CPA license. Along the way, she raised three daughters who played cello, viola and violin as part of Boulder Suzuki Strings. Kyra currently works full time as an auditor for a CPA firm, EKS&H, and continues to accompany a few recitals for Boulder Suzuki Strings. She loves to run and hike with her golden retriever, practice Bikram yoga, raise Guide Dog puppies and travel with her husband and daughters.